Cologne’s National Socialism Documentation Center is the largest regional memorial site in all of Germany for the victims of the Nazis. 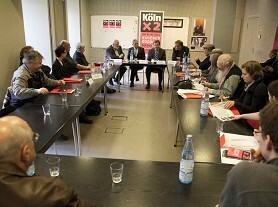 It was founded by a resolution passed by the Cologne city council on December 13, 1979. For many years, the center’s activities were restricted to research and academics. 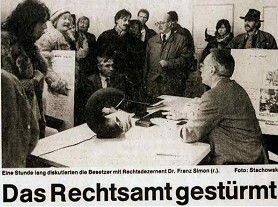 So on June 11, 1987, the council once again passed a resolution calling for “the foundation of the NS Documentation Center of the city of Cologne,” and the center gradually developed into the comprehensive institution it is today. 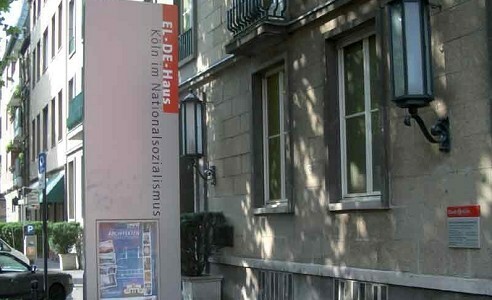 The NS Documentation Centre is an institution of the City of Cologne. It was established by a city council resolution on 13 December 1979. The NS Documentation Centre’s work is equally dedicated to commemorate, communicate and research the NS era in Cologne: The Centre is a place of commemoration, learning and research all in one. The NS Documentation Centre, which has received numerous awards, is the largest local memorial in Germany today. 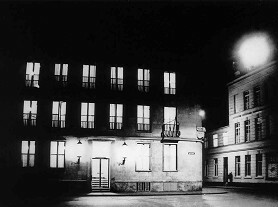 From 1935 until 1945, the EL-DE House on Appellhofplatz 23 – 25 was the headquarters of the Cologne Gestapo. Its name became synonymous with the NS terror in Cologne. Following 1945, the House also became a central theme around which disputes about the NS history of the city arose. The former house prison of the Gestapo with its remaining prison cells and the inscriptions by the prisoners is the most immediate and intense reminder of the terror of the NS period linked to the EL-DE House. The former Gestapo prison as a memorial is the core of the NS Documentation Centre and represents a cultural asset of national and European significance. 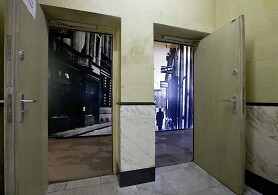 The permanent exhibition in the EL-DE House deals with the history of Cologne during the national socialist period. It highlights the basic structures of the NS system in their actual, local reality. The permanent exhibition was opened in 1997 and was essentially re-designed and complemented by a number of media stations in 2009/10. The Press Department offers press editors, journalists and press employees the opportunity to download press releases and images. All reproductions for downloading are copyrighted and may only be used for current press coverage.